Subscription revenue for The New York Times Company increased 19.2%, due to growth in subscriptions to digital-only products like Cooking and Crosswords in fourth-quarter 2017. 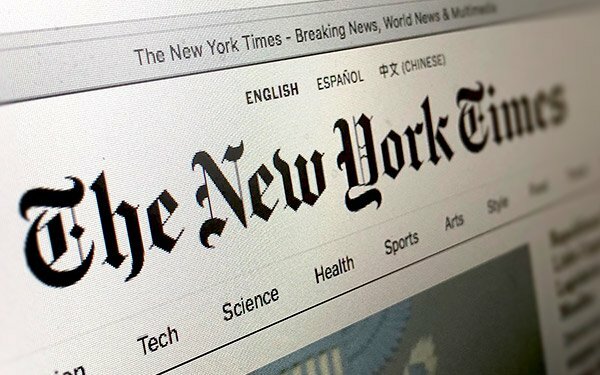 Digital subscription revenue increased by more than $100 million year-over-year, which represented 60% of total revenue for The New York Times Company in 2017. In the fourth quarter, the company added 99,000 net digital news subscriptions and 157,000 total net digital-only subscriptions, a 41.8% increase compared with the end of the fourth quarter of 2016. The company had about 2.6 million digital-only subscriptions at the end of the fourth quarter of 2017. Advertising revenue decreased 1.3% in the period.